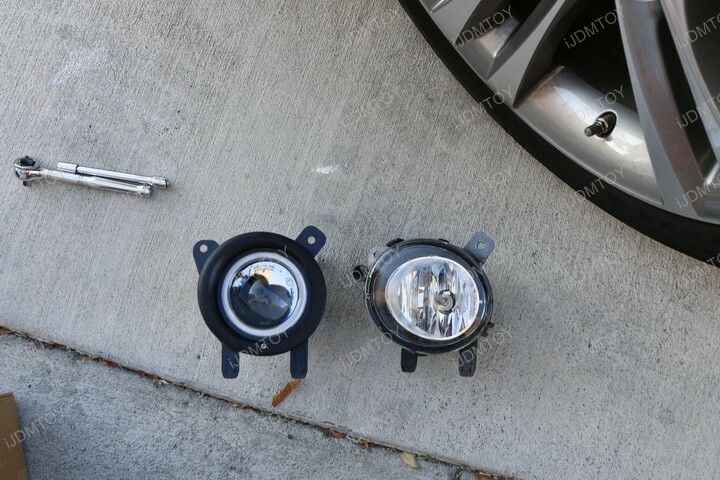 Q: Will these HID ready projector fog lamps fit my car? 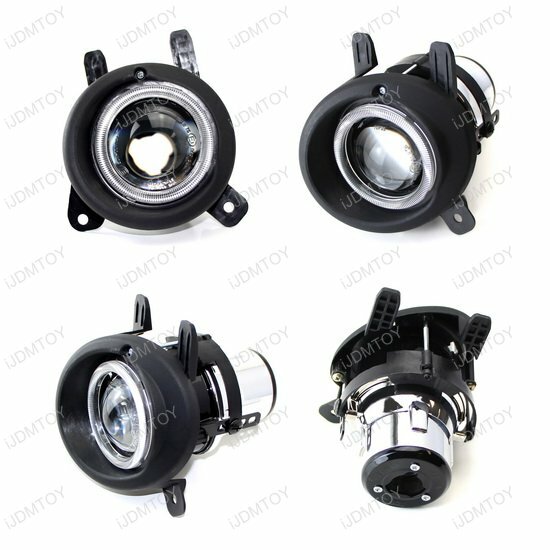 Q: Are there bulbs included with this set of projector fog lamps? 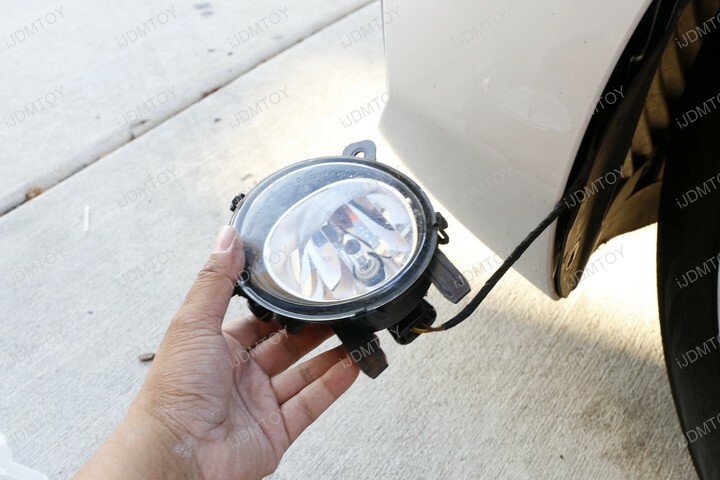 A: There is no bulb included with this set of projector fog lamps. 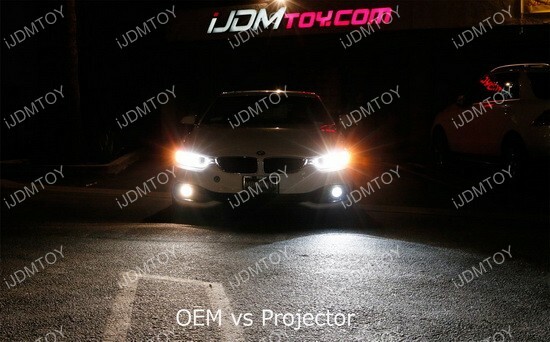 This is because these projector lens are made to replace or upgrade your fog lights and be installed with HIDs. 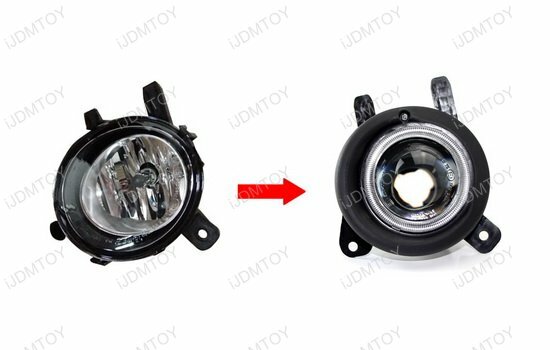 Q: How do I assemble these Projector Lens Fog Lamps? 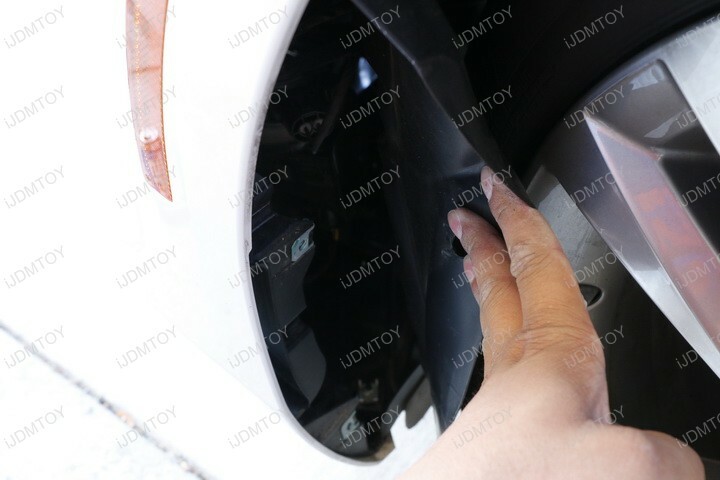 Step 1: Open your wheel well by undoing the clips. 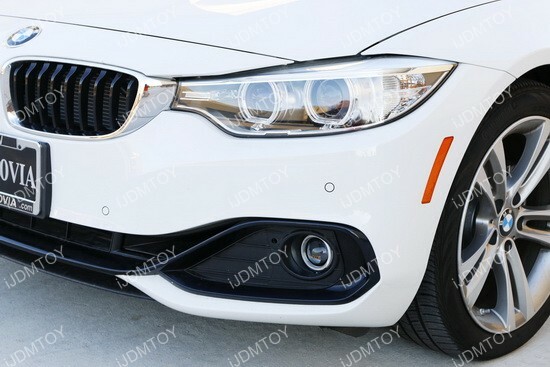 Turn your wheel in towards the center of your BMW to give you clearance to pull back the wheel well. 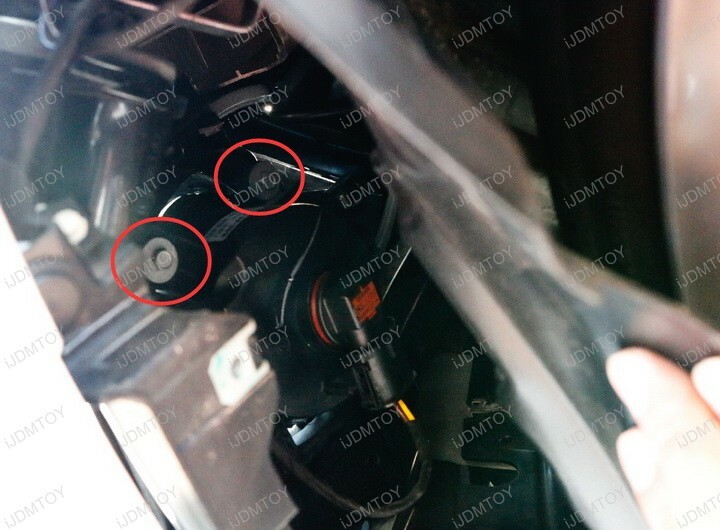 Step 2: Unscrew the bolts circled in red below to release your stock fog light projector lens. 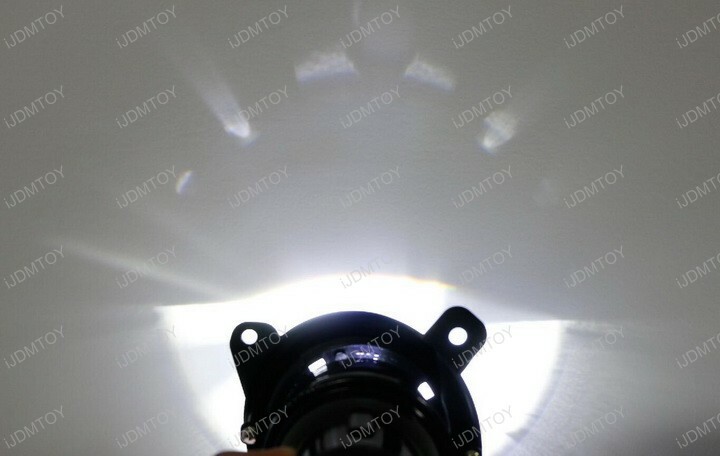 Step 3: Remove your light bulb from the OEM projector lens. 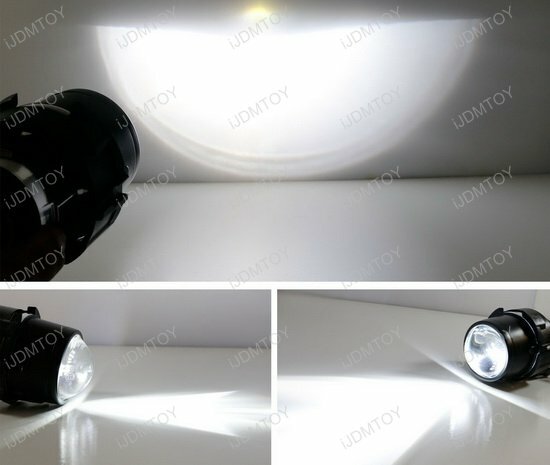 Plug your light bulb into the HID ready retrofit projector lens. 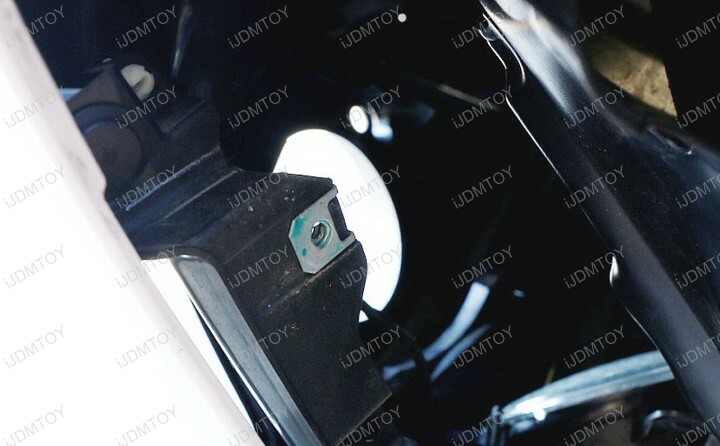 Step 4: Bolt the HID ready retrofit projector lens onto the fog light location. 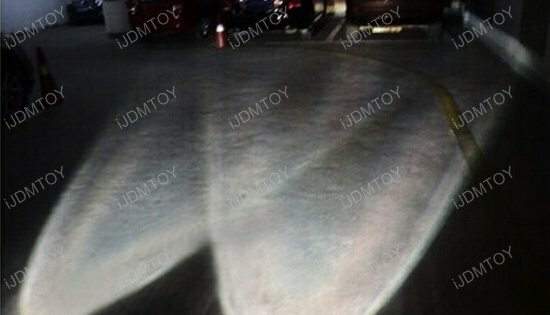 Close your wheel well to finish. 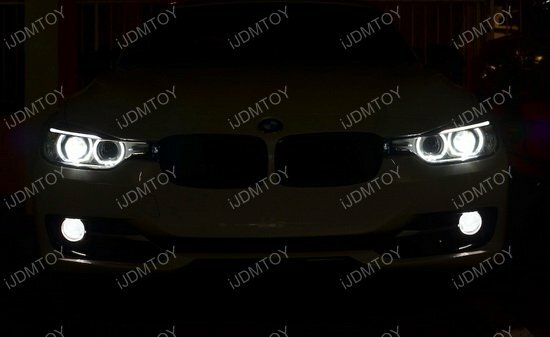 You can now enjoy your BMW's brand new optical glass projector lens! 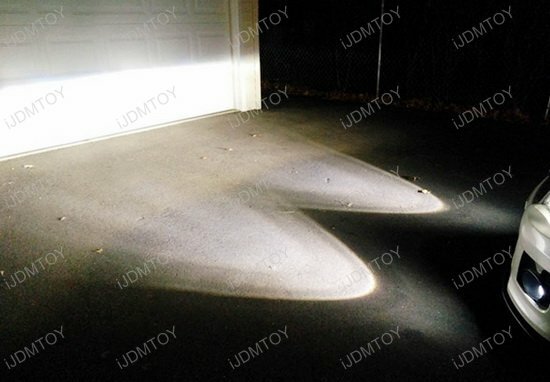 Q: Why do I see these 4 dots of light show up from my projector lenses? 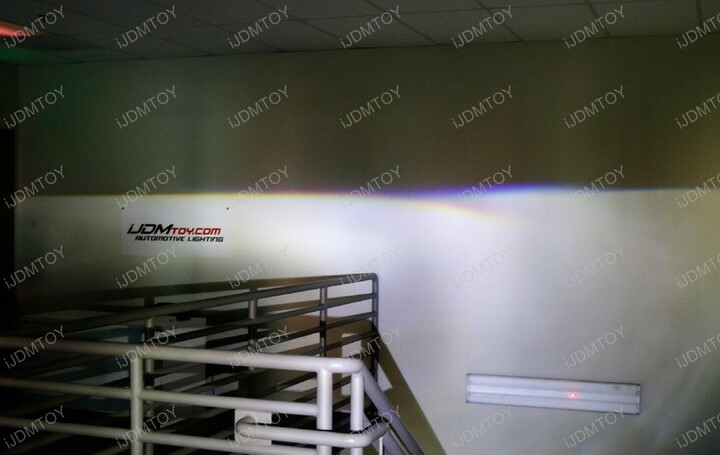 A: The 4 dots of light show up because there is a cutoff line inside the projector lens, and at the bottom of the cutoff line there are some gaps that light passes through. 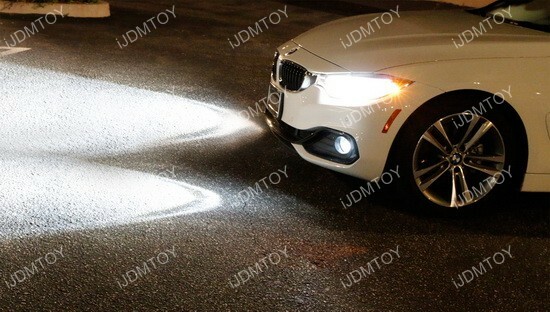 These dots of light only show up when you shine your BMW projector lenses up close a wall. 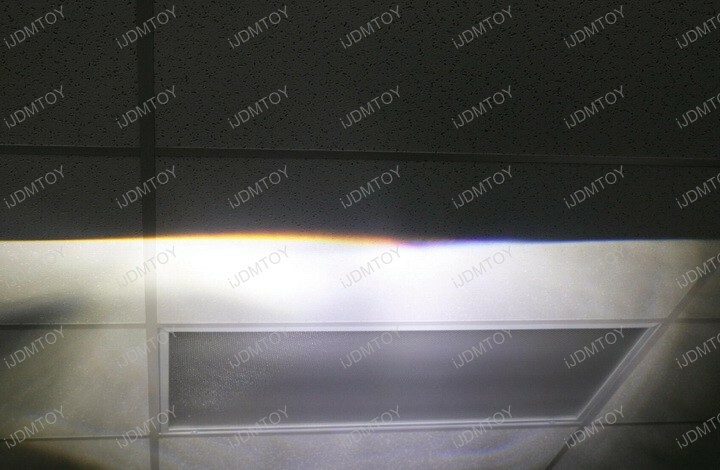 Under normal use, you will only see the LED light with a cutoff line and the 4 dots of light will not show up. 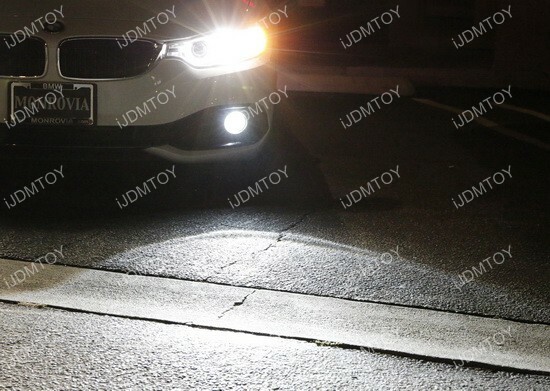 These HID ready replacement fog lights replace the existing halogen fog lights or LED fog lights to HID. 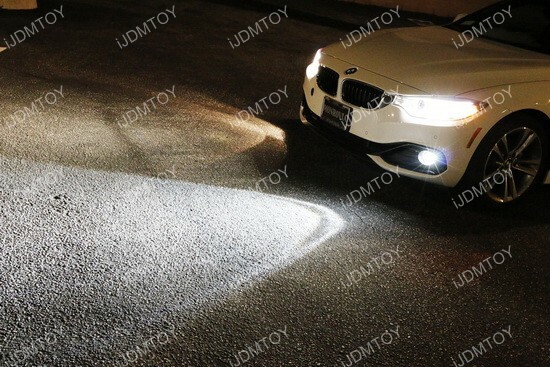 These projector fog lights are finely crafted with an optical glass projector with a metal case, so that it's the perfect candidate for people who want to install with HID. 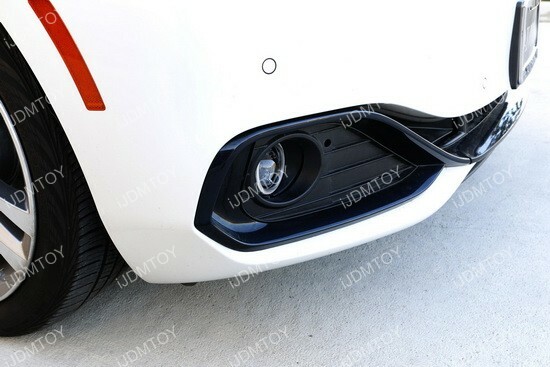 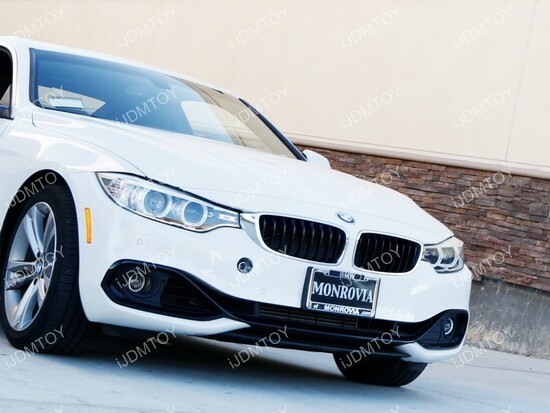 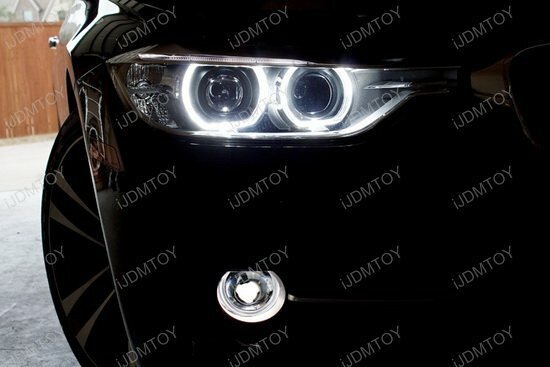 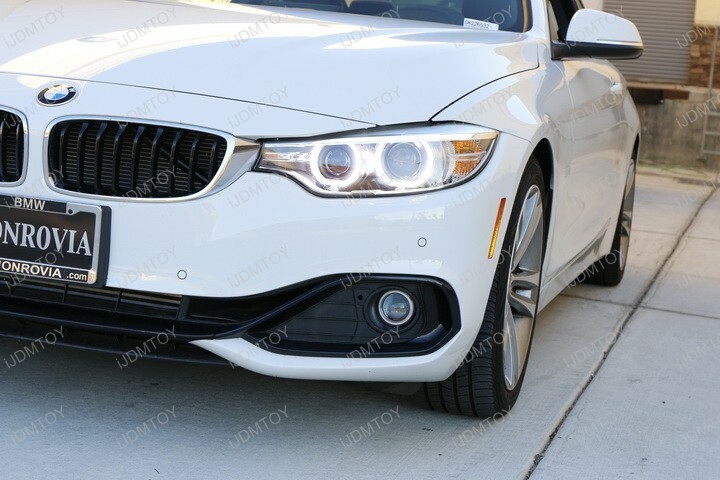 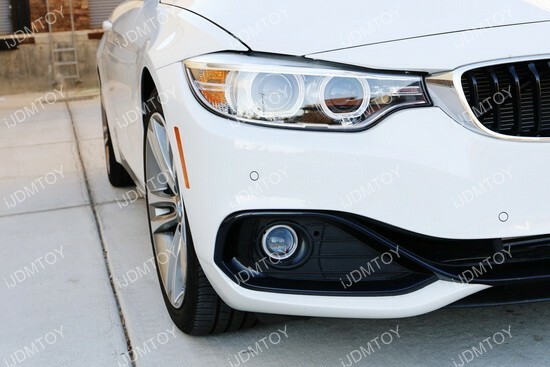 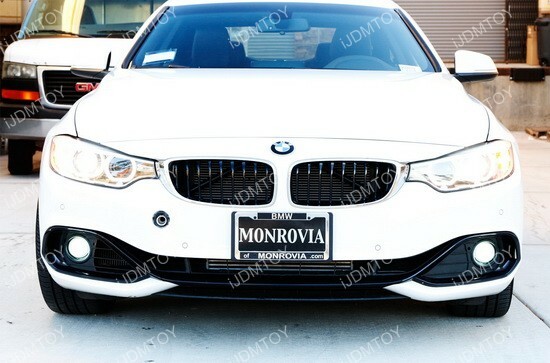 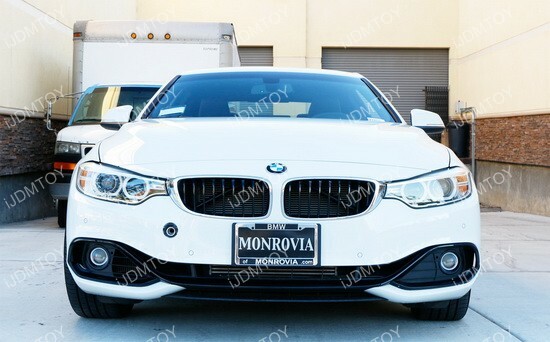 Even if your BMW does not come with factory fog lights, you can still install these projector lens fog lights. 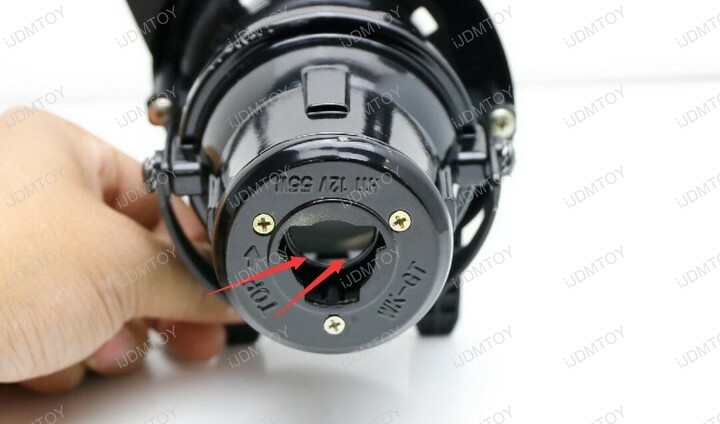 The projector lens even has a decorative halo ring piece to complete the look of the assembly. 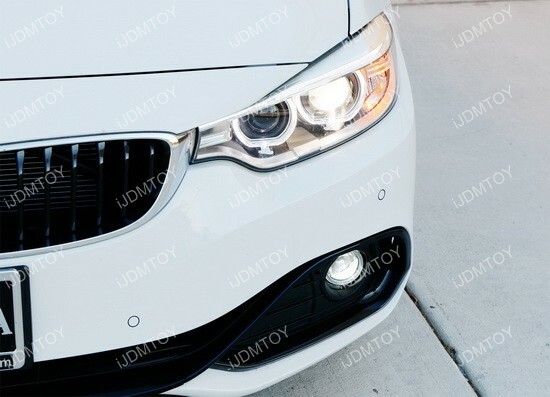 These iJDMTOY projector fog lights are suitable as an HID-ready application so you can get that crisp HID look. 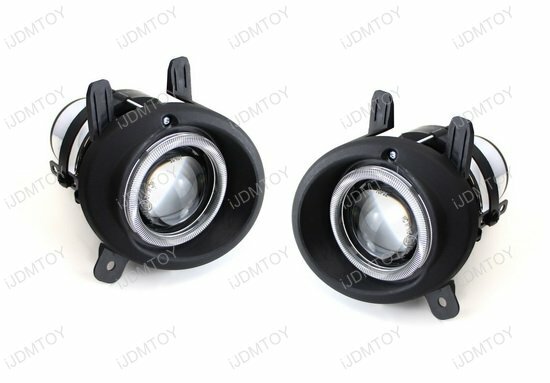 Since the main purpose of these projector fog lamps is to install with HID, there is no bulb included.